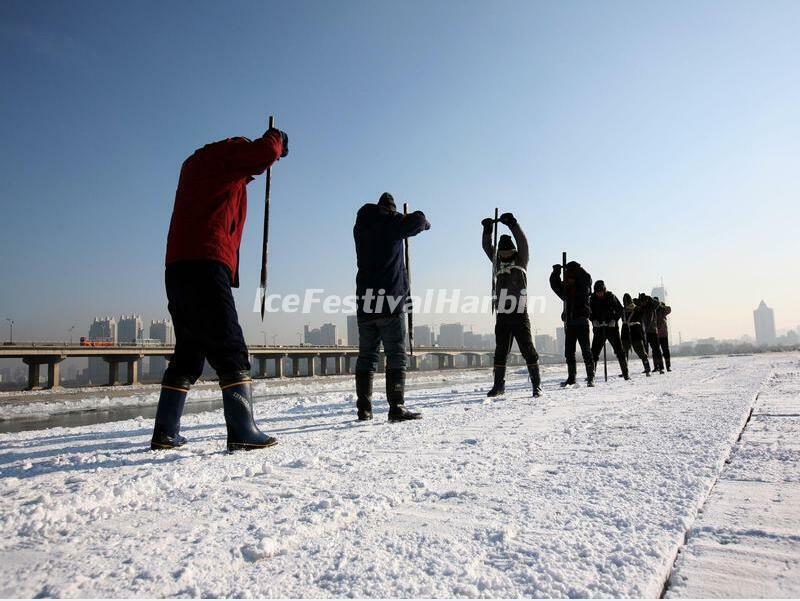 The 4th Ice Collecting Festival kicked off on the frozen Songhua River in the morning of December 7. Workers (they are actually farmers from countryside) in traditional Northeast Chinese clothes roared an approval and finished the alcohol in their bowls. 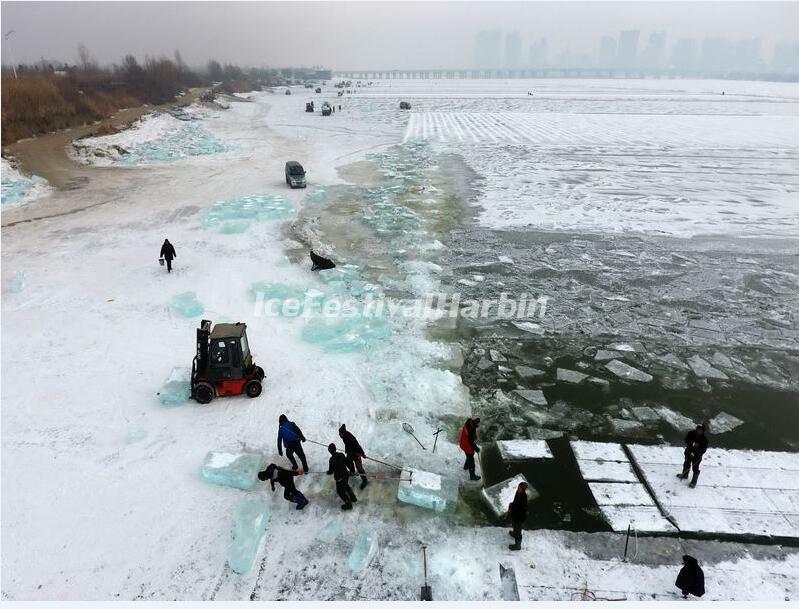 After a mysterious sacrificial ceremony and some wonderful performances of folklore,the workers hauled the first block of ice out of the frozen Songhua River for the 20th Harbin Ice and Snow World. 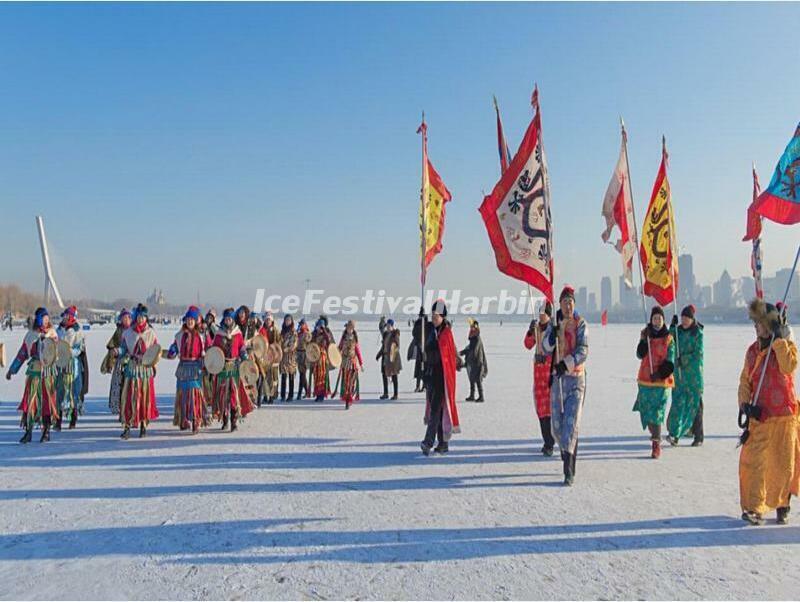 The Harbin Ice and Snow World is located on the west of Sun Island, about five kilometers from the Songhua River. The ice sculptors will build a 600,000-square-meter winter wonderland. 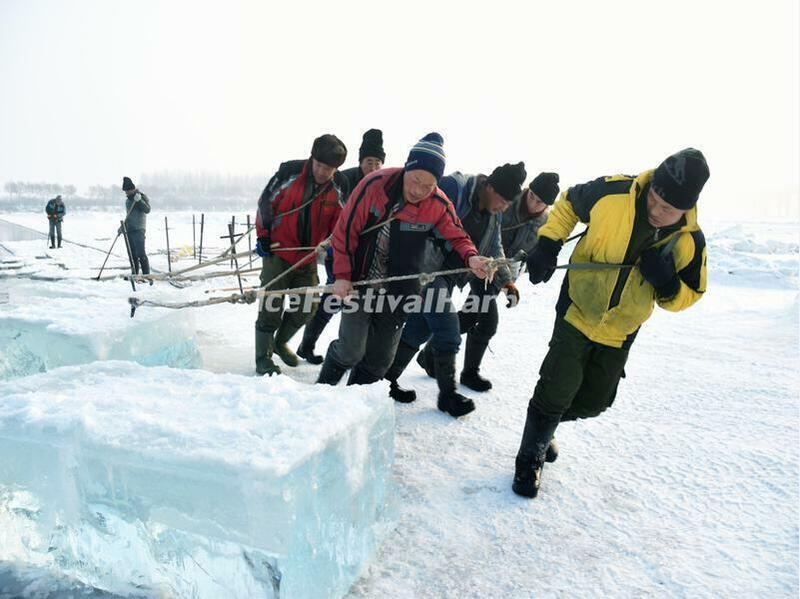 In 20 days, 180,000 cubic meters of ice will be collected and then transported to construct the Harbin Ice and Snow World, one of the world's largest winter theme parks and the main attraction of the annual Harbin International Ice and Snow Sculpture Festival. The Harbin Ice and Snow World officially opens at the end of December and closes at the beginning of March, when the temperature starts to warm up. 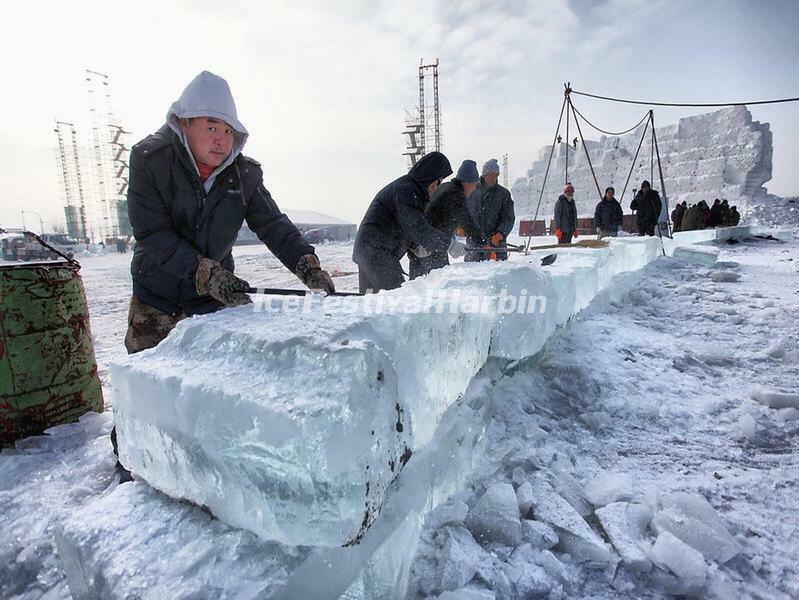 The workers hauled the first block of ice out of the frozen Songhua River. Harbin Ice and Snow World Open on Dec 23. 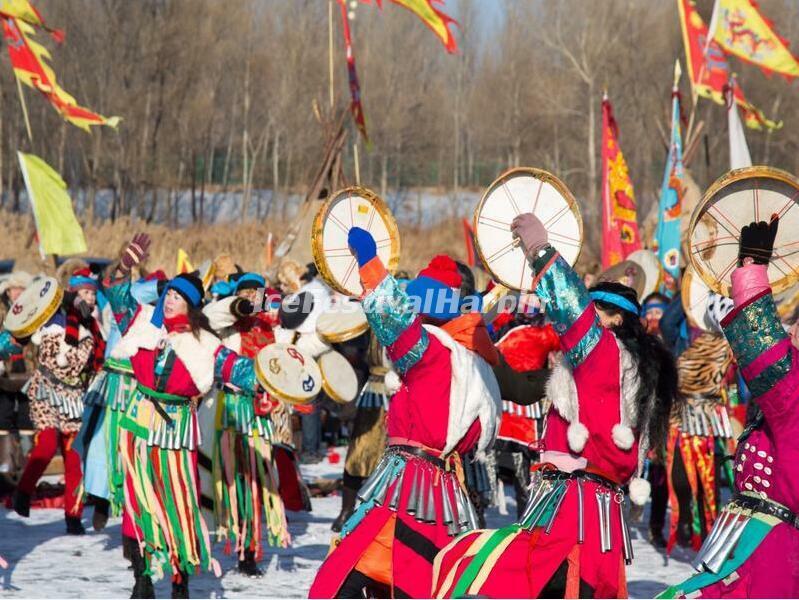 Harbin Ice and Snow World Won "2014 Best Netizens Praised Attractions"